The local dialect of the Pulangiyen is Binukid, which is widely spoken in Bendum to this day. The Visayan migrants have learned to speak the language while the Pulangiyen, in turn, have accepted the Visayan dialect as their second language. Strongly adhering to culture and tradition, a great majority of the households in Bendum (76%) engage in traditional religious practices, while a small but significant number (24%) of households have joined religious denominations. Of those who continue to perform traditional rituals, 46% identify themselves also as Catholics. Those who practice other religions are either Baptist (22%) or Pentecostal (2%). The fall-out from the traditional religious practices could be traced as resulting from outside influences and intermarriages with lowlanders. There are basically two groups of people assisting the community in their health needs. These are the German Doctors Mission and the City Health Department of Malaybalay. Prior to 1997, there have been cases of child deaths every year caused by severe diarrhea and other water-borne diseases. 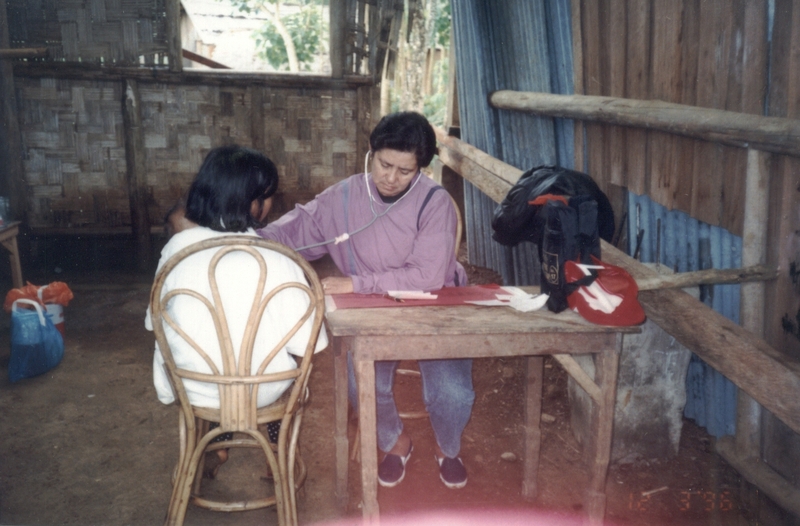 A few years ago, cases of pulmonary tuberculosis and leprosy were diagnosed in children living in the community. These medical problems were immediately given attention by the assisting health organizations. A potable water system was set-up in Bendum. Medical consultations were conducted and local health programs were implemented. The community organized a Committee on Health (Kumitiba hu Panlawa) which was tasked to monitor common illnesses and diseases in the area. For a time, the Committee was responsible in accessing medical services from external groups and partnering with the City Government’s Rural Health Unit (RHU). An herbal garden was also set-up by the committee to propagate traditional medicinal herbs. Communities in the Upper Pulangi area, including parts of Agusan del Sur Province, looked up to the committee as their link to external medical assistance. The Bendum community is entirely dependent on land and forest resources for livelihood. Land cultivation and cottage industry are the major sources of livelihood. About 66% of their livelihood activities depend on forest resources: rattan, baluy, sedsed, tiger grass, timber, and abaca fiber. Some even continue to practice traditional methods of hunting and gathering food from the forest where they get wild boar, freshwater fish, and forest rats. The Tribal Council of Bendum was formed to provide collective leadership for the community and a forum for the exchange of ideas. Their group was formally registered in 1994 with the Office of the Southern Cultural Communities (OSSC) to earn legitimacy and be recognized by the government and other external groups. The Tribal Council is recognized as the head governing body in Bendum and continues to engage with the National Commission on Indigenous Peoples (NCIP) and with the local government. They collectively decide on matters affecting the socio-economic and political structures of the community and act as its representative in dealing with external groups such as institutions and other tribal communities. The Council also handles conflict resolutions, whether internal or external in nature. For three decades, the community was beset by insurgency problems and militarization. The government suspected them to be supporters of the New People’s Army (NPA), causing multiple harassment that traumatized the people. 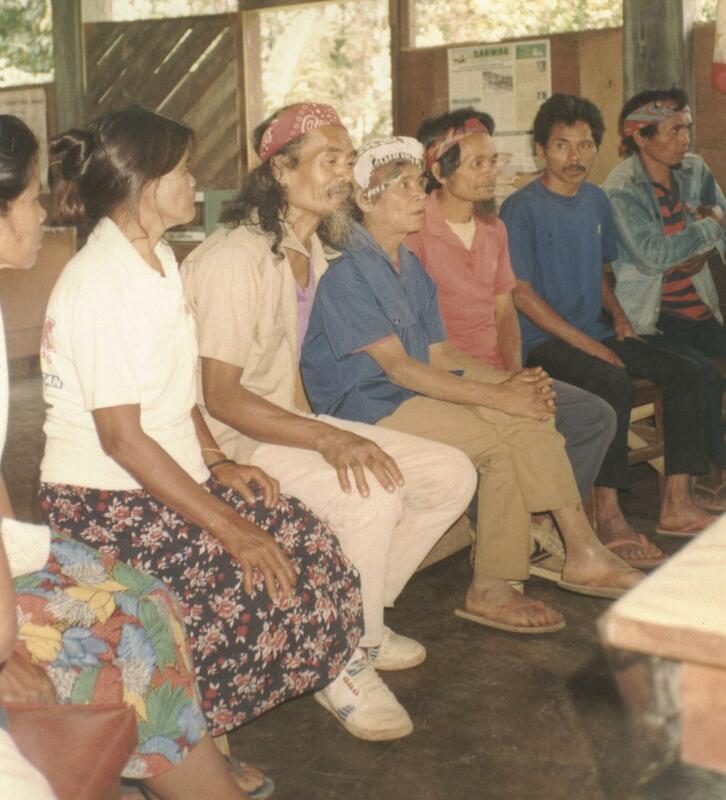 The encroachment into their land by the military and rebels alike made it difficult for the community to protect their forest resources and continue sustainable management practices. 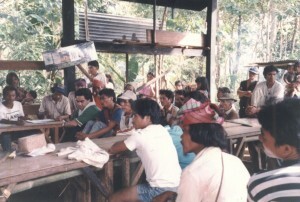 In 1996, the community had a dialogue with the military, municipal authorities, and the NPA to discuss their situation and to assert the rights as a community. They expressed their desire to be a zone of peace, as seen in their decision to stay in the area while all the other villages and sitios were evacuating. For many days after that, the people of Bendum enjoyed being able to walk in the fields unharmed, letting children play outdoors unwatched, and working on their livelihood, secure that it would feed their families. Similarly, the people have learned to assert themselves in terms of conserving the resources of Bendum and in maintaining peaceful co-existence with their environment. They have successfully opposed the entry of mining in the area, regulated the entry of loggers, and became aware of the importance of having control over their own land. The people engaged in a biodiversity project that gave them the opportunity to revitalize their cultural expression, energize their clan relationships, define their needs, examine social and environmental relations, and discuss and reflect on the values inherent in their way of life. Still, strengthening the community to assert their rights and to continue to be determinants of their own future is a long and difficult process. The Pulangiyen cannot just sit back and expect the system to work for them. They understand that continuing to be vigilant and aware is necessary to sustain the work of the past ten years. The people face these realities as they struggle with the day-to-day problems of the community. Difficulties continue to arise, and in September 2003, the tribal leaders met to deal with issues of breakdown in organizational systems, violations of resource management policies, low cultural morale among the lumad, and an economic crisis brought about by a lack of proper farming technology and the laborious production of abaca. Also that year, a group of bandits invaded the area. People were harassed, the military was set to intervene, as was the NPA. Once again, the community was in turmoil. Classes in school were suspended, people stopped going to their fields, and a great fear and uncertainty pervaded the community. Slowly, without antagonizing anyone, all were quietly asked to disperse for the peace of the community. In a survey conducted in 2001, data revealed that less than half (40%) of the total adult population of Bendum finished primary education and even less than this (23.7%) graduated from elementary school. Expectedly, only 9% finished high school and 1.5% attended college. 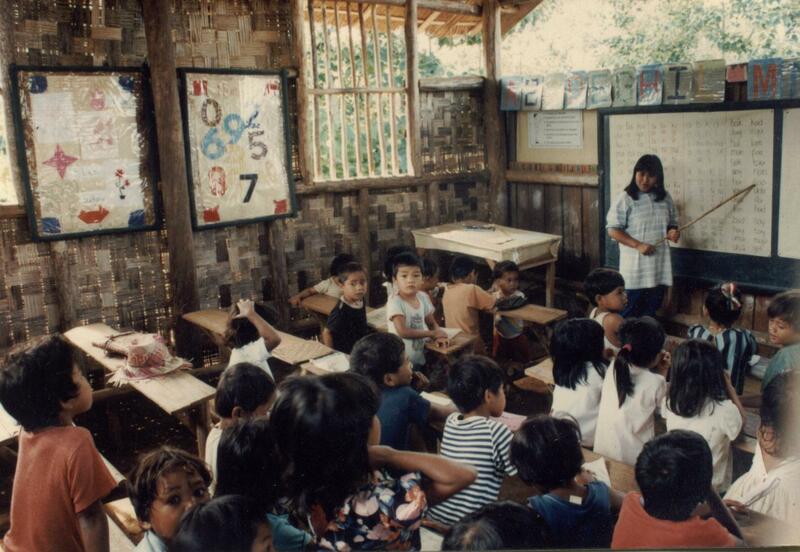 Informal literacy classes were attended by 1.5% of the population. 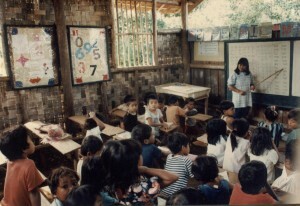 There were no schools in Bendum prior to 1991 and this has resulted in non-literacy of a fourth of the population (24.6%), 95% of which belongs to the above-40 age group. The nearest school in Bendum is the public elementary school in Barangay St. Peter and the parish-run high school in Barangay Zamboanguita. The schools are 6 kms and 8 kms away from Bendum, respectively. These are the concerns of hundreds of communities in the Mindanao uplands. By sharing these concerns and communicating with as many as twenty other communities in the area, the humble resilience of the people of Bendum gives strength and challenge to others.